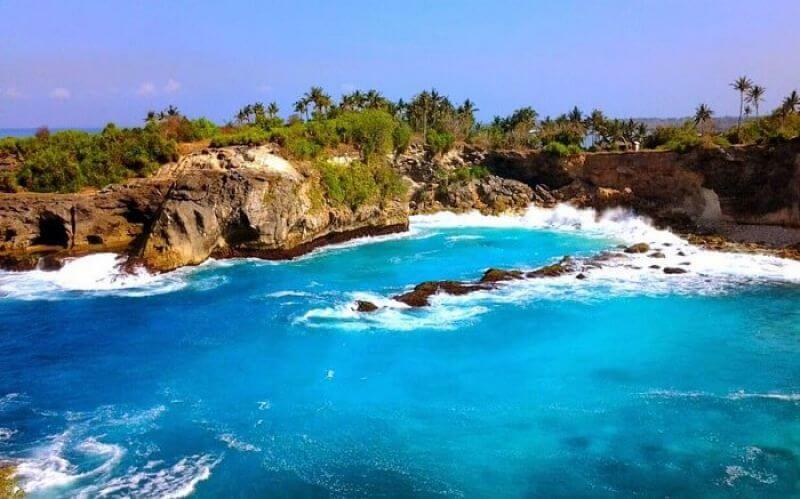 Bali Day Cruise of Sail Sensations is one of the exciting sailing experiences perfectly combined by exploring Lembongan Island and attractive cruise activities in Bali…. 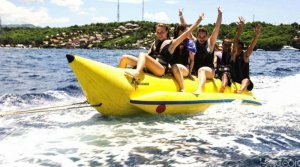 Bali Day Cruise of Sail Sensations is one of the exciting sailing experiences perfectly combined by exploring Lembongan Island and attractive cruise activities in Bali. 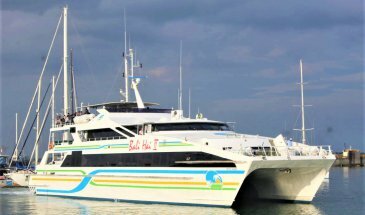 Our cruise is very much comfortable by using 27 meters long vessel of sail assisted motorized catamaran to cross Bali Strait and go to the most beautiful island with the white sandy beach along the coastal area of Lembongan Island. 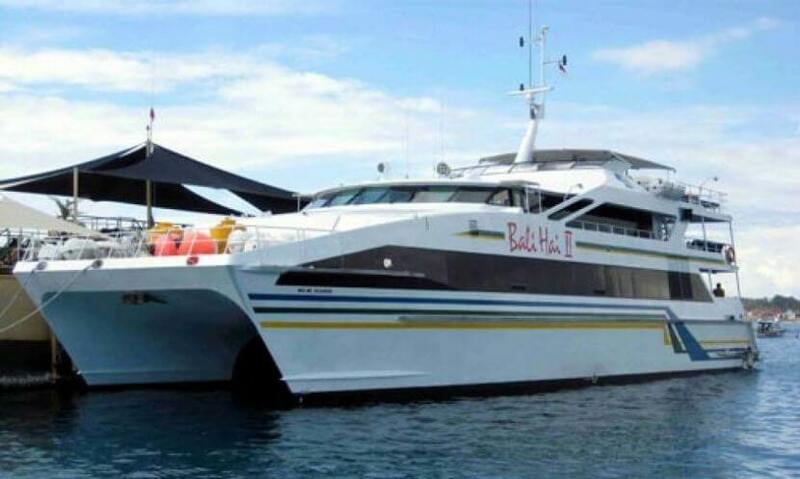 The Sail Sensations is one of the established cruise companies in Bali will serve you with an exciting cruise experience to explore the blue ocean and stop over at Lembongan Island. You will totally enjoy the fun ship cruise with sailing catamaran and friendly services from our professional crew that complete your experiences in Bali. 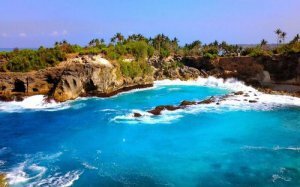 The Sail Sensation will bring you the fantastic cruise experience to go to Lembongan which is located in the south-east of Bali. 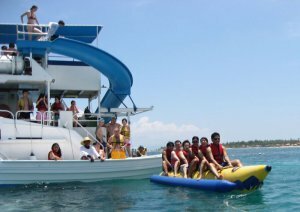 The ship schedule will depart from Benoa Harbor at 09.00 am and return about 17.30 pm in the afternoon. The Day Cruise is using SV Sail Sensations Vessel that is rated by HSC under international (Maritime) Code of Safety. 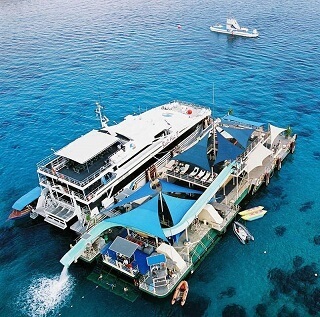 The boat is big can accommodate up to 120 people, with size 27 meters long and 12 meters wide. 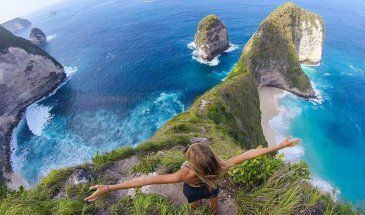 Fill The Booking Form provide and make sure you put the valid email address, so we can reply to received your Tour or Activity booking request.